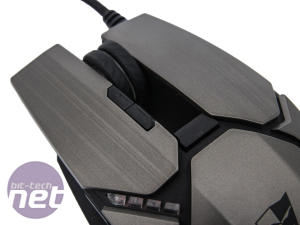 We've seen a few gaming peripheral manufacturers enter the UK recently and we've heard rumours of new lines of products heading our way from several more established companies too. 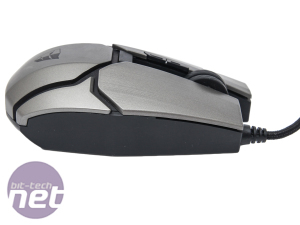 Whatever your budget, ergonomic needs or feature requirements, you're usually spoiled for choice when it comes to keyboards, mice and headsets. 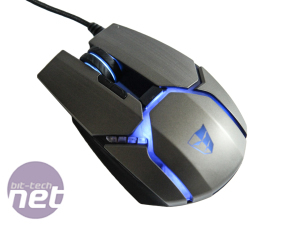 We recently looked at i-Rocks' latest trio of devices and as we have another set of three peripherals, this time from US-based gaming company Tesoro, we're doing another mini round-up for its latest gaming mouse, headset and mechanical keyboard. However, unlike i-Rocks, Tesoro isn't aiming at the budget end of the market. Its mouse retails for £50, it's headset for a little more and its mechanical gaming keyboard for close to £100. This mean's it's sitting squarely in prime time and competition is going to be stiff to say the least. So lets crack on and take a look at the first piece of kit. 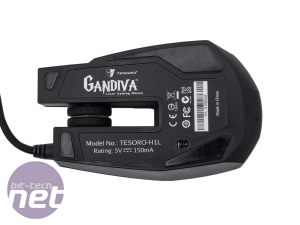 The Gandiva H1L reminds us of a few classic claw-grip mice that we've seen over the years with their high arched backs although for some reason, the index finger support here has been extended so it ends up being a slightly longer mouse than you might expect. 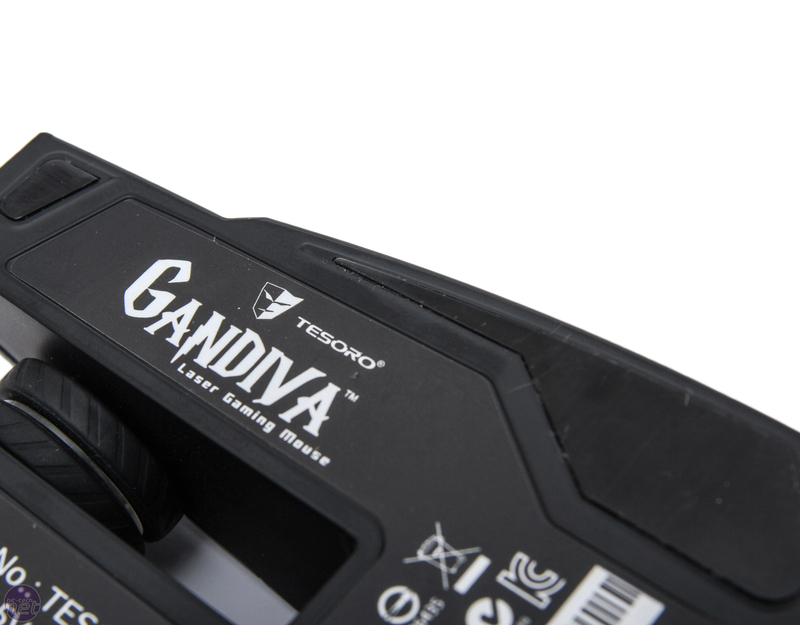 We would also say that Tesoro have made the highly unusual decision to have an off-centre cable, but the EVGA Torq X10 Carbon also sports a similar design. 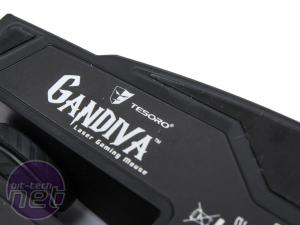 As you'd expect, the Gandiva H1L is most comfortable when used in claw grip or finger tip style holds, with a palm grip not really suiting its high arched back and low-riding scroll wheel and buttons. 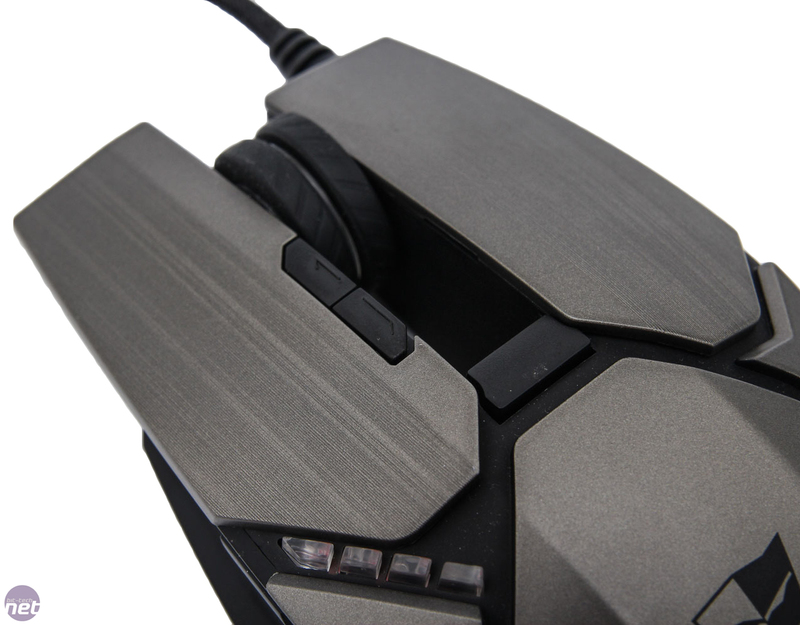 These grips also help to alleviate the angular exterior, where the right hand side suffers particularly from a protruding piece of plastic that can catch on your palm and isn't particularly comfortable. 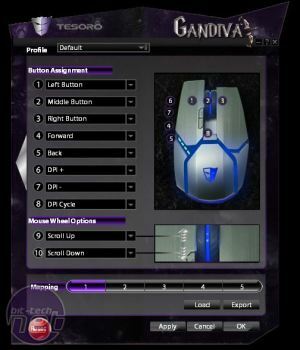 The contrast between it and more curved mice is stark so we unfortunately have to take the stance that the Gandiva H1L doesn't score particularly highly on comfort - something that could greatly be improved by ditching the large groves in the palm area that are presumably only there to allow light to get through. However, if you're a distinctly finger tip grip style gamer, then these issues will probably pass you by. 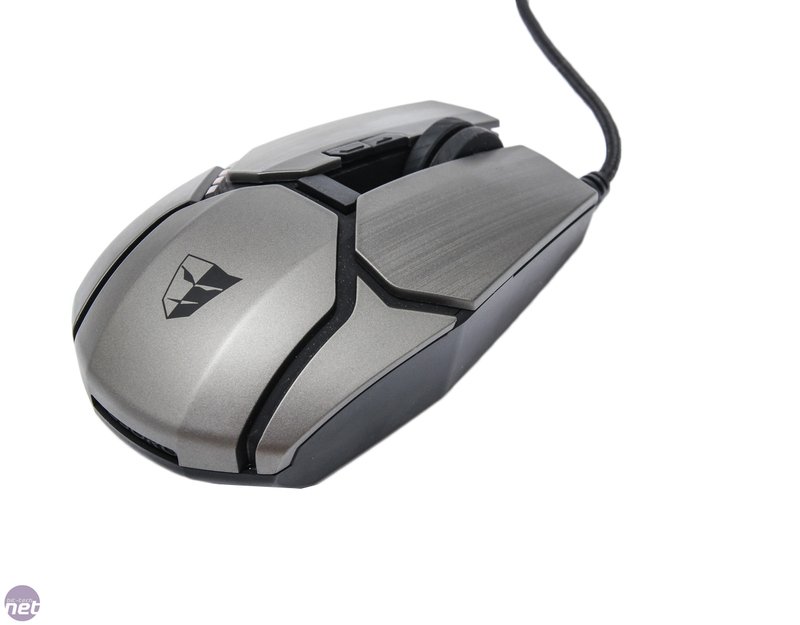 As you'd expect on a £50 gaming mouse, you get on-the-fly sensitivity adjustment, which can be lowered or raised using the two buttons to the left of the scroll wheel or simply cycled using the button directly behind the scroll wheel. However, as the buttons are all fully programmable you can of course reassign them, although it had to be said that the rear-most button is pretty awkward to reach most of the time. 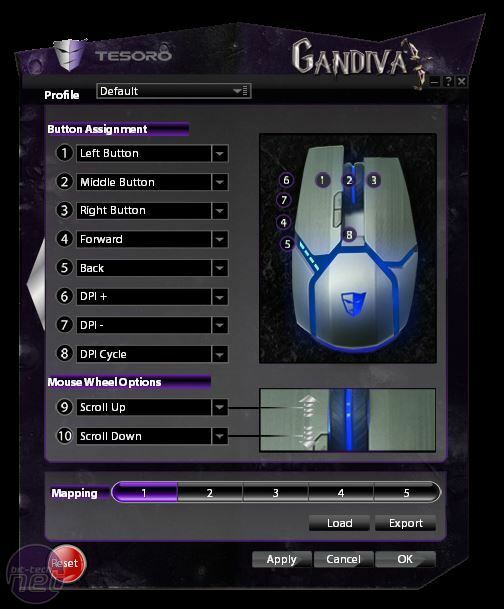 The main lights on the side indicate the current DPI level setting, which include five in total, all of which are configurable in the software between 200 and 8, 200 DPI on either the X or Y axis (you can also sync both axes together). The USB polling rate can be adjusted between 125Hz and 1,000Hz too and you can also tweak the shooting (repeat) speed and liftoff distance. 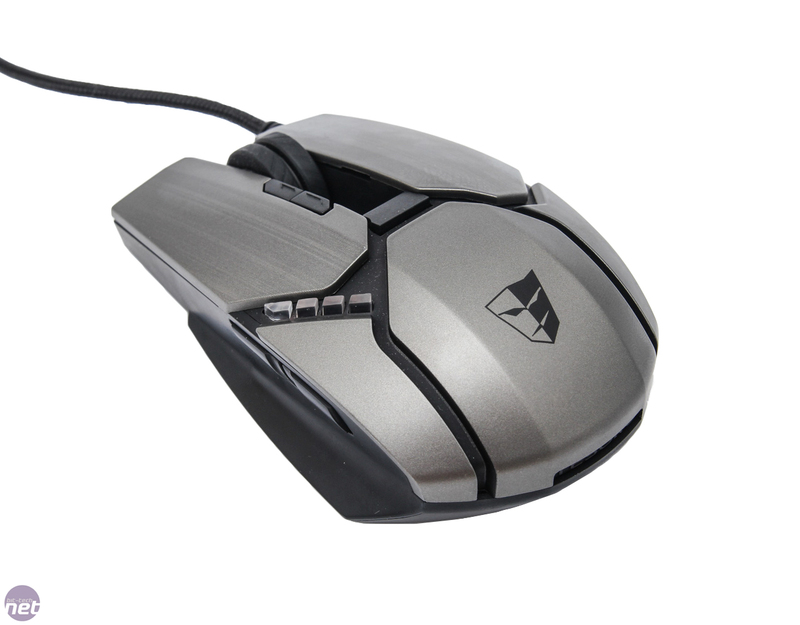 You won't find much more in terms of tweakability on any other gaming mouse. 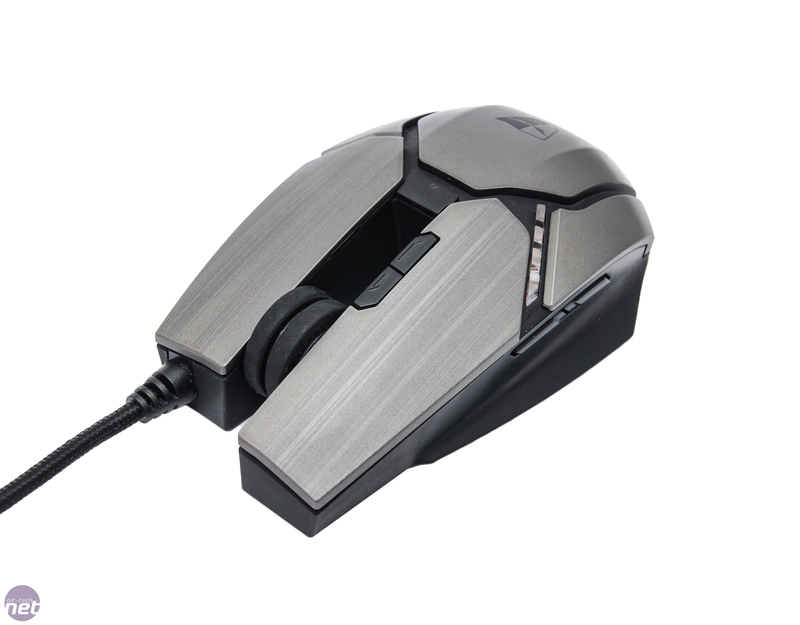 Other buttons include your standard mouse left and right finger buttons, two thumb buttons and scroll wheel button. 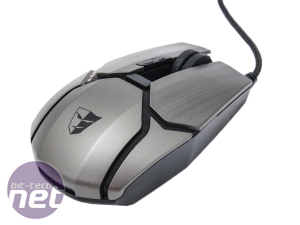 Both the wheel and its button function are relatively stiff but this will likely prevent accidental presses, while you quickly get used to touch and feel of the scroll wheel, which is rubber-coated. 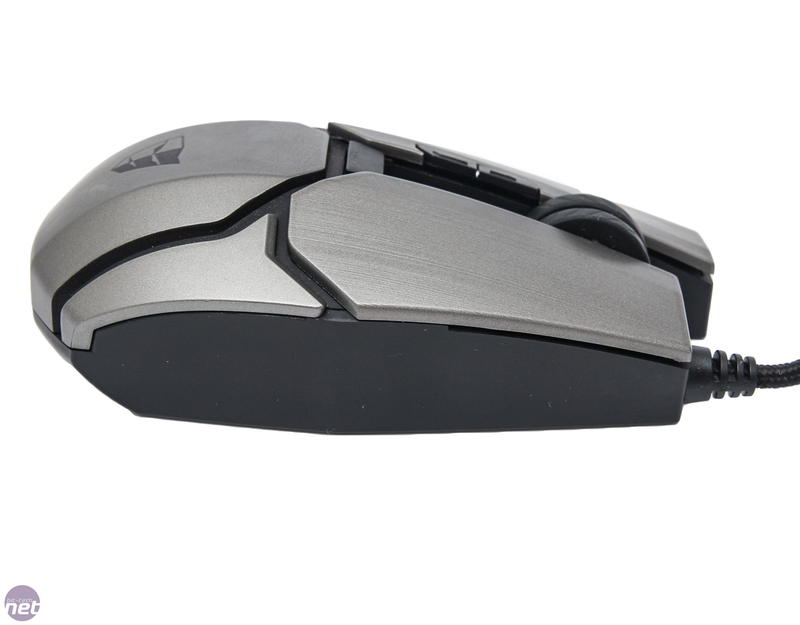 As the DPI adjustment is all done via programmable buttons, the underside is pretty sparse, with a right-aligned sensor, although one issue we did have is the incredibly skinny length of one of the mouse feet. 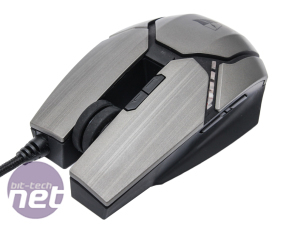 The more surface area you have in touch with your desk or mousepad, smoother the motion as the load is spread out, however here, the front two pads are tiny and the one under your thumb is needle-like and did catch on material-based mousepads occasionally. There are replacement pads in the box, though, which is a nice touch but we'd prefer to see larger, less angular pads to start with. The software is extensive, though, and as well as being able to re-program any of the eight buttons, you can create up to five separate profiles. By default none of the buttons are assigned to switch profiles but it's something you can do, which is useful. In addition, you can pick from a number of other functions such as copy, paste or play and stop for media playback as well as running macros, which can be created using the software. Perhaps the only downside to the software is that it takes so long to actually save the settings to the mouse - well over 25 seconds in some cases. However, it's likely you'll only need to do it once and switching profiles even results in a colour change in the illumination to show you which profile you're using. So what's it actually like to use? 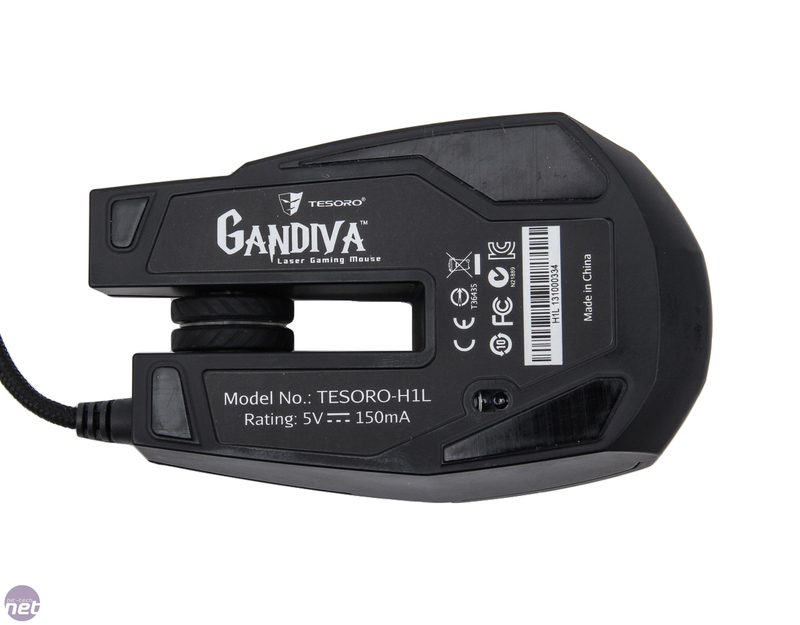 Well, having played around with the Gandiva H1L for a couple of days, it's not particularly endearing, mainly due to the comfort issues and the author being predominantly a palm-grip person. 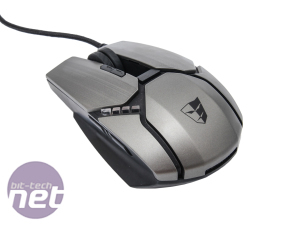 However, movement is smooth and exceptionally precise across all DPI levels and the on-the-fly sensitivity adjustment is superb - easily up there with the best mice we've reviewed. 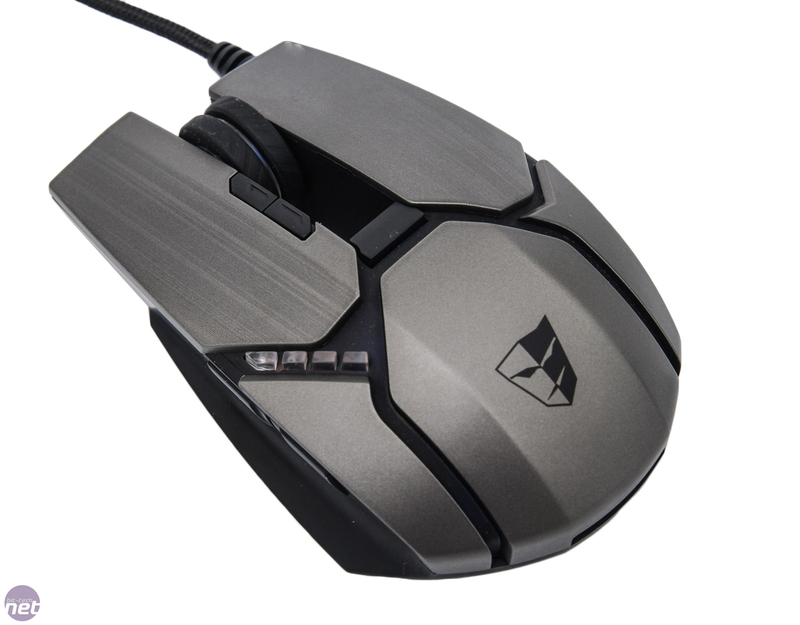 On harder surfaces it works well but on coarse or material surfaces, the angular mouse pads can interfere with movement slightly and after just a couple of days use, the needle-like end to one of the mouse pads actually started to come loose. The sensor also seemed to be tracking a tiny bit out of kilter to other mice we had to hand - as if it had been rotated, but you get used to this pretty quickly. 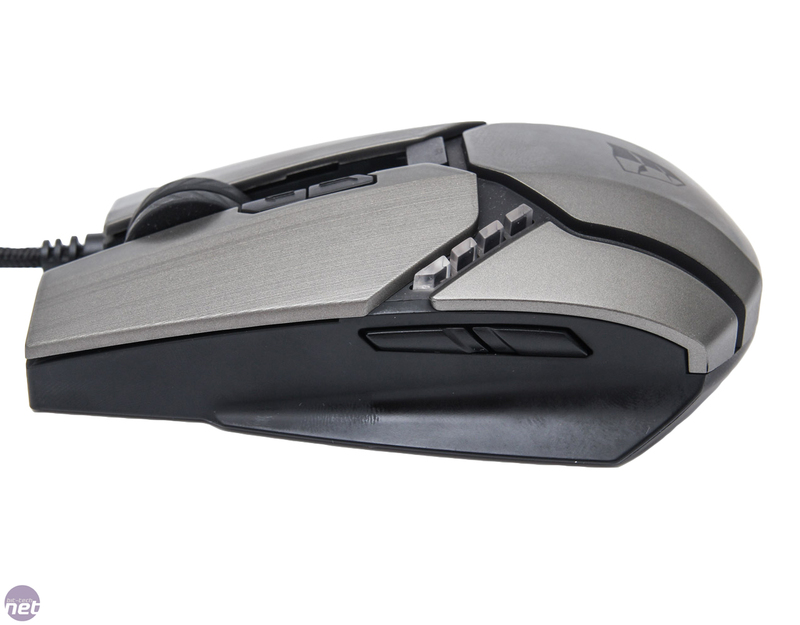 As we've said earlier, this isn't a mouse for palm grip gamers and claw and finger tip grip people will likely find its exterior amenable if not spectacularly comfortable. The software is well-featured and easy to use, if a little slow, and all the buttons are well-placed. 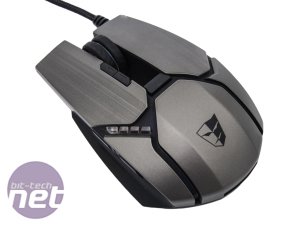 However, there are a few issues, namely the mouse pads, laggy software and very angular rear end that prevent us recommending it; at £50, there's an awful lot of choice out there and many of its direct competitors don't suffer the same issues. 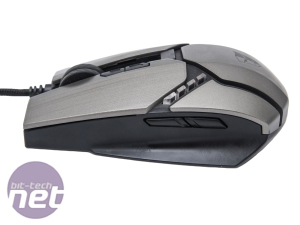 Can Tesoro's low-profile keyboard offer up super-responsive gameplay with its new switches?